Posted By PA Breast Cancer Coalition on May 16th, 2011 at 1:00 pm | 98 comments. The PBCC is thrilled to announce that FREE Friends Like Me Survivor Care Packages are back for a limited time! These care packages – intended for survivors of 6+ months – include informational materials as well as feel-good items to celebrate breast cancer survivorship. Request a Survivor Care package for you or a loved one using our online form. A limited number are available. The survivor must live in Pennsylvania and have been diagnosed prior to November 9, 2010. If the recipient was diagnosed after November 16, 2010, please request one of our Friends Like Me Care Packages designed specifically for the needs of a newly-diagnosed woman. Our Friends Like Me Care Packages are available throughout the year at no cost to the sender or the recipient of the package. 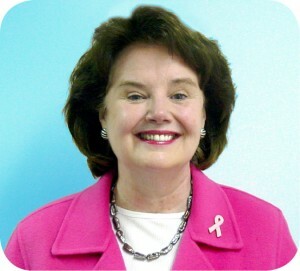 Posted By PA Breast Cancer Coalition on May 16th, 2011 at 12:59 pm | 129 comments. Survivors, advocates, health care providers, business and community leaders will be gathering in Harrisburg for the 2011 PA Breast Cancer Coalition Annual Conference on Tuesday, October 11 – and we want YOU to be there, too! Online early bird registration rates now available. If you are unable to register due to the cost, we have travel grant and scholarship applications available online as well to provide assistance to you so that you may attend. Those who register now can save with our Early Bird Registration for one at $65 or our Bring a Friend Registration for two at $100! Conference registration is your ticket to all of the events of the day including speakers, workshops, exhibit hall vendors, the Pink Ribbon luncheon and more. Workshops offered will feature topics designed to appeal to a wide range of audiences, regardless of how their lives have been touched by breast cancer. Topics include Leadership, Advocacy, and Education; Advances in Treatment; Research and Clinical Trials; Breast Cancer Survivorship; The Mind/Body Connection; and Caring for the Caregiver. A number of conference scholarships are provided each year through the Cary Massa Memorial Scholarship Fund. To memorialize Cary, an active member of the ABC’S support group of Carlisle and a dedicated PBCC Annual Conference volunteer, friends and family worked with the PBCC to create the fund to provide a means for those who wish to attend the conference but would be unable to do so because of their financial situation. Applications for travel grants, full scholarships, and partial scholarships are now available. Travel grant applications are due August 5. Scholarship applications are due September 30. Don’t miss out on this exciting day! 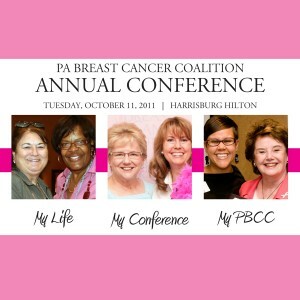 Join us on Tuesday, October 11 for the 2011 PA Breast Cancer Coalition Annual Conference! Posted By PA Breast Cancer Coalition on May 16th, 2011 at 12:58 pm | 109 comments. Cindy Holobusky has had three heart surgeries, at the ages of eight, 40 and 42. Then at age 46 she came out of the shower one day and found a lump in her breast. With two artificial heart valves, her doctors needed to be especially careful preparing her for a lumpectomy. Cindy was hospitalized for several days to monitor the effects of being taken off the blood thinner Coumadin. That was five years ago and Cindy was glad to hear at her recent check-up that she was “A-OK.” When she was diagnosed Cindy ordered a Friends Like Me care package and says that the things in it helped her to feel like she was not alone. Now she likes to pay it forward by ordering Friends Like Me care packages for other newly-diagnosed women. Two years ago her insurer denied coverage of her annual mammogram, so her physician’s office contacted the PBCC. We were able to step in and unravel the red tape that was blocking her access. Recently Cindy traveled to State College to attend the Penn State Lady Lions WBCA Pink Zone at Penn State, which benefited the PBCC. She says it was a great feeling to be among the 352 breast cancer survivors honored on the basketball court, especially with those women diagnosed over 20 years ago! Posted By PA Breast Cancer Coalition on May 16th, 2011 at 12:57 pm | 411 comments. For many of us, dodgeball is a distant memory confined to our gym class experiences. 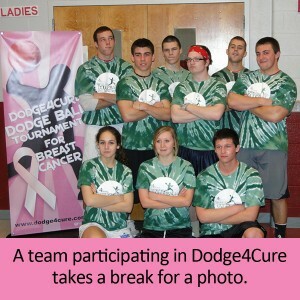 For Kim Wilke and her family who organized the Dodge4Cure Dodgeball Tournament, it is a great way to raise money for the PBCC to help in the fight against breast cancer – not to mention great exercise! The tournament raised $10,040 for the PBCC in its third year. Thanks to Kim, the entire Wilke family, and all those who participated and sponsored the event to make it such a smashing success! This event is a great example of what can happen when one person takes the extra steps to turn something they love to do into something that does a lot of good for others. If you are inspired to follow Kim’s lead and turn your hobby into a fundraiser for the PBCC, contact Sarah at Sarah@PABreastCancer.org for information on how you can become a Grassroots Partner. 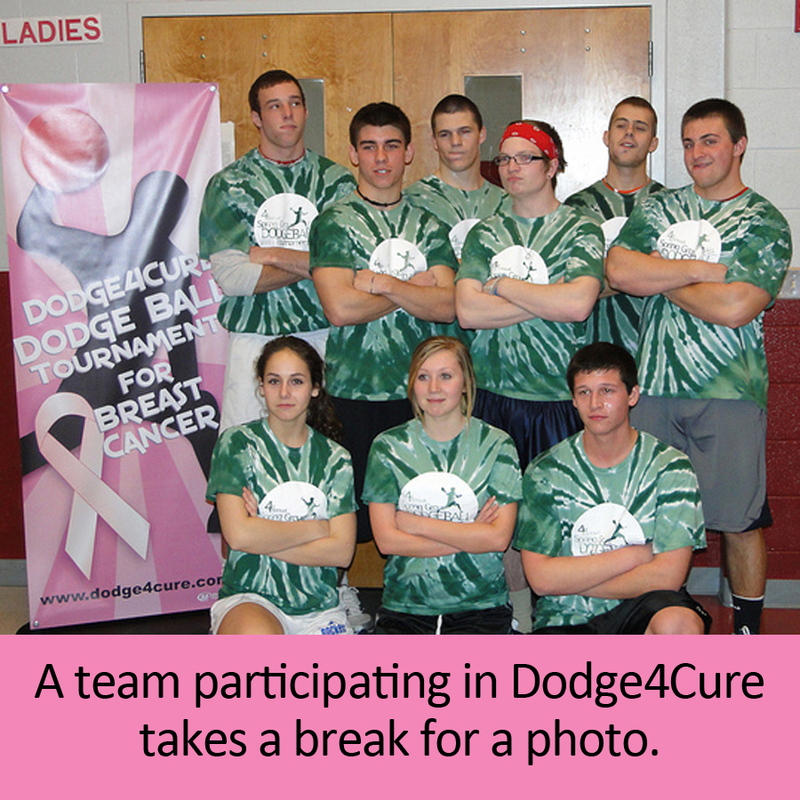 For more information on the Dodge4Cure event including future tournament information, click here. Posted By PA Breast Cancer Coalition on May 16th, 2011 at 12:56 pm | 113 comments. 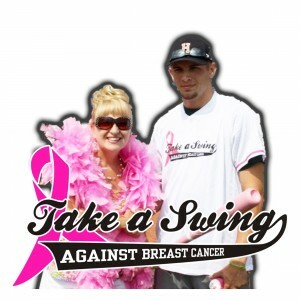 If you haven’t signed up to Take a Swing Against Breast Cancer this July, the time is now. Register your team of batters by the end of the May and receive two free single batter registrations! Invite your best friends, clients, or colleagues to experience the excitement with you. Or make it a special Father’s Day for a lucky Dad. 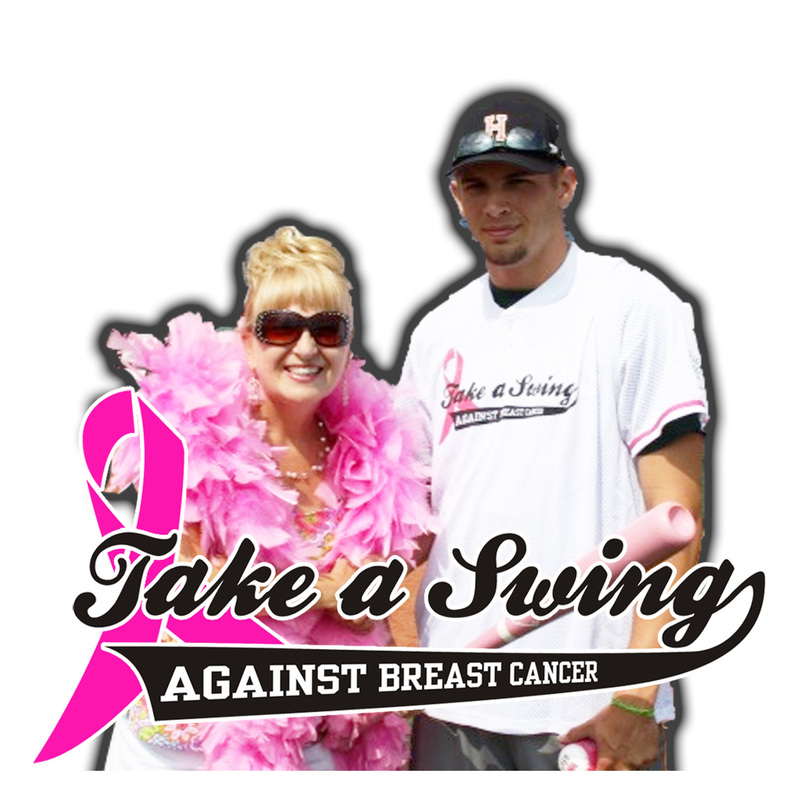 To date, 57 teams are registered for the PBCC and PA Association of Community Bankers’ Take a Swing Against Breast Cancer Home Run Derby, but we have plenty of room to add many more to the lineup! Register now to take advantage of May’s special offer and you can give your clients, friends, or family the experience of a lifetime. Individual batter registrations are available for purchase. Did you take the court with the survivors for the WBCA Pink Zone at Penn State Lady Lions game? Plan another visit to State College and step up to the plate at Medlar Field at Lubrano Park on July 30! Is a trip to the Little League Museum in Williamsport in your future? Take your baseball enthusiasm a step further by getting in the batter’s box with us on July 26. With eleven ballparks across Pennsylvania participating, there’s bound to be a location near you! Want to give Dad the experience of a lifetime? Sign him up to take a swing, and bring out the whole family to cheer him on when he steps up to the plate. Who says Father’s Day can’t be repeated in July? Posted By PA Breast Cancer Coalition on May 16th, 2011 at 12:55 pm | 128 comments. Martin’s Potato Chips invited the PBCC to its factory for a behind the scenes look at how their delicious snacks are made. Earlier this month, they brought their special pink ribbon bags back for a Mother’s Day promotion. Check out the video for a snack sneak peek and see how Martin’s continues to Chip in for a Cure. Through the sale of the special pink ribbon bags of its Kettle Cook’d Potato Chips, Martin’s has donated over $84,000 to the PBCC. For its generosity and commitment to breast cancer awareness, the company was recognized as a 2010 Pink Ribbon Award recipient at the 2010 PA Breast Cancer Coalition Annual Conference. Thanks to everyone at Martin’s for their continued support and for the tour! Posted By PA Breast Cancer Coalition on May 16th, 2011 at 12:54 pm | 1404 comments. Over the last few years, much discussion and debate in the media has focused on using stem cells in medical research. The issue has centered on the use of fetal stem cells, their possible use in research to cure or better treat a wide variety of diseases, and the ethical questions surrounding such research. However, stem cells are not only found in fetal tissue; adult stem cells exist in the mature human body. Stem cells were discovered in the breast in 2003 by researchers at the University of Michigan. They are defined as cells that “have the ability to continuously divide and develop into various other kinds of cells/tissue.” It is possible that when a cancer re-emerges after hormonal therapy and chemotherapy, even in a woman with ER-positive breast cancer, the culprit may be stem cells that have not been affected by the treatment. In recent laboratory research, investigators have tested the drug sorafenib (Nevaxar®), a drug used in the treatment of kidney and liver cancers, and found that this agent eliminated more breast cancer stem cells and blocked tumor formation better than 4 other drugs tested. It is now being examined in clinical trials. This approach to cancer treatment, which deals with the disease at a cellular level through the targeting of genes and proteins, is one that we will see more of in the coming years as therapeutic options begin to focus on individual patient and tumor characteristics. For more information about this research, click here. Or, more information about stem cells can be found here. Posted By PA Breast Cancer Coalition on May 12th, 2011 at 8:14 am | 126 comments. The PA Breast Cancer Coalition (PBCC) is pleased to work with the Huntingdon County Exhibit Committee and J.C. Blair Memorial Hospital to bring its traveling photo exhibit 67 Women, 67 Counties: Facing Breast Cancer in Pennsylvania, to Huntingdon County from May 12th through May 22nd. The photo exhibit will be displayed in the Main Lobby of the J.C. Blair Memorial Hospital located at 1225 Warm Springs Avenue in Huntingdon. An opening reception is scheduled for Thursday, May 12th at 5 p.m. The exhibit and reception are free and open to the public. The pink van and PBCC staff will be on hand to kick-off the 110th showing of the photo exhibit. This will be our first visit to Huntingdon County! This work of art features women from each of Pennsylvania’s 67 counties, along with a message about how breast cancer has touched their lives. The women reflect the diversity of Pennsylvania, and their stories reflect the impact of breast cancer on themselves, their families and their communities. 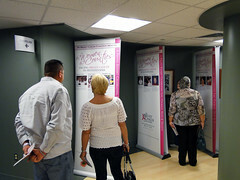 The exhibit encourages women to learn about early detection and celebrates life, courage, hope and dignity of women and families who have battled breast cancer. 67 Women, 67 Counties: Facing Breast Cancer in Pennsylvania is sponsored by the PBCC and funded by the Pennsylvania Department of Health.